It is a secretion from mucus membranes in the body (in humans: mouth, nose, throat, digestive tract, etc.). These secretions consist of water, epithelial (surface membrane) cells, polysaccharides (simple sugars), inorganic salts, and dead white blood cells. Mucus is slimy and slippery. The color of mucus can range from clear to yellow green or reddish brown. It's a myth that green or yellow snot means you have an infection (though the two sometimes occur together). The yellowish/green color is not bacteria from an infection. 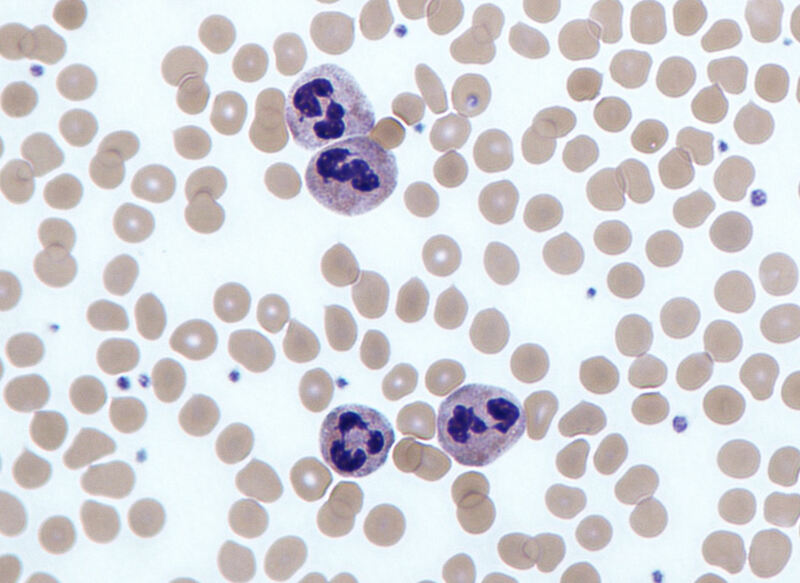 The color comes from a compiling of a type of white blood cells, called neutrophils, which are helping your immune system fight off possible infection. Neutrophils en-masse can appear greenish-yellow (they release an enzyme of this color). An average human adult can produce up to 100 billion of these little immune helpers in bone marrow every day. They are also stored in the bone marrow ready to be called up like the body's National Guard of immune response. You can have greenish-yellow mucus if you have a bacterial or viral infection, or sometimes no color at all even if you do have an infection (It's best to check with a doctor regardless). Neutrophils, the body's immune defense in mucus. (Photo: Wiki Commons). What is the function of mucus in humans? In humans mucus plays a lot of important roles. It's what keeps your body from drying out and keeps thing moving, like the oil in an engine. Mucus also keeps our membranes moist. It traps and removes potentially harmful invaders ranging from dust and dirt to viruses or bacteria. Mucus can also contain the antibodies mentioned earlier, which can fight infections and call for "back-up" from your body's immune system. The human body can make about 1-1.5 liters a day (4-6 cups)...though let me assure you it is much more when you have a cold. When you're sick your body produces more mucus to fight off potential infection, and often the consistency changes in response to viral or bacterial invaders. If too much is produced, and it can't clear out of the narrow passage-ways of your sinuses then you can get back-up, sinus pressure, and sometimes sinus infections. Human paranasal sinuses (Photo: Wiki Commons). Solutions like saline, or a netti-pot, are suggested for mucus removal but be careful! 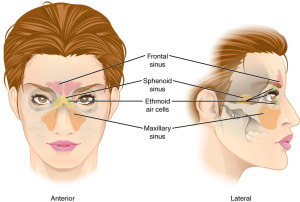 If you have a sinus infection you can distribute the infection into farther parts of your sinuses by the passage of the salt water. However, netti-pots can be quite useful for common allergies or stuffiness. Mucus also helps in the digestive system, where it protects our digestive tract tissues from being scratched or abraded by food, and helps move food smoothly along. It also protects our digestive organs from the acids that are used to breakdown food. Mucus is also helpful for reproductive purposes, keeping sensitive reproductive tissues moist and preventing damage from friction during reproduction. In pregnant women there is a mucus plug that protects the cervical opening and uterus from bacteria. This thins and is expelled near birth. What about mucus in nature? 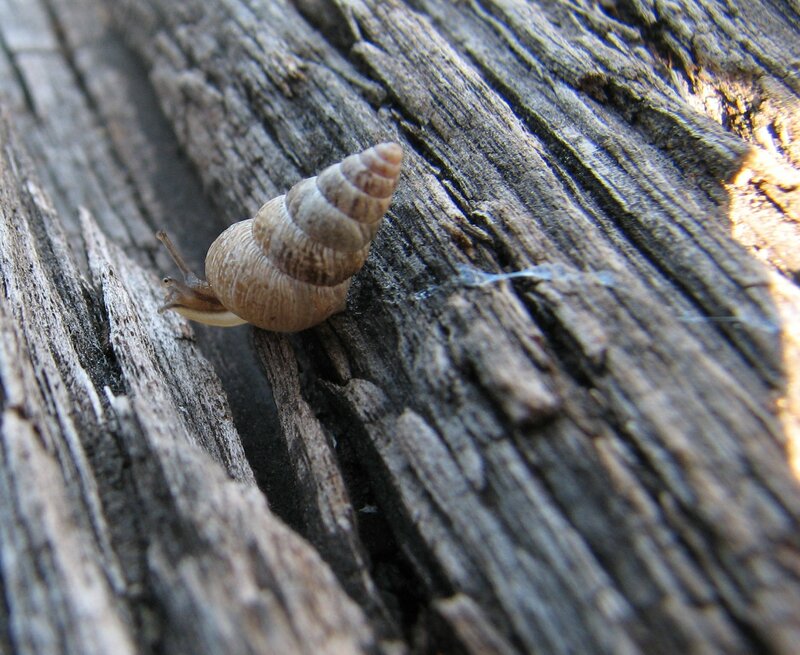 Snails and slugs-glide on a mucus slime trail secreted by their foot. 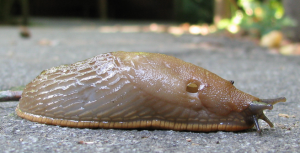 Some slugs, like the leopard slug, hang from a mucus thread to reproduce. Check out my previous blog post on this amazing dance. Slug covered in slime (Photo: Wiki Commons). Oysters- (and all sorts of clams and mussels) use mucus on their gills to help remove detritus, to move plankton to their mouth, and to remove pseudofeces. Frogs and Salamanders-have a mucus coating that keeps them moist and helps them with oxygen diffusion across their skin. Often this coating tastes foul and deters potential predators. Moon snails- (a type of aquatic snail) make a mucous mixture that is extruded with their eggs, which then is released in a wavy looking collar. 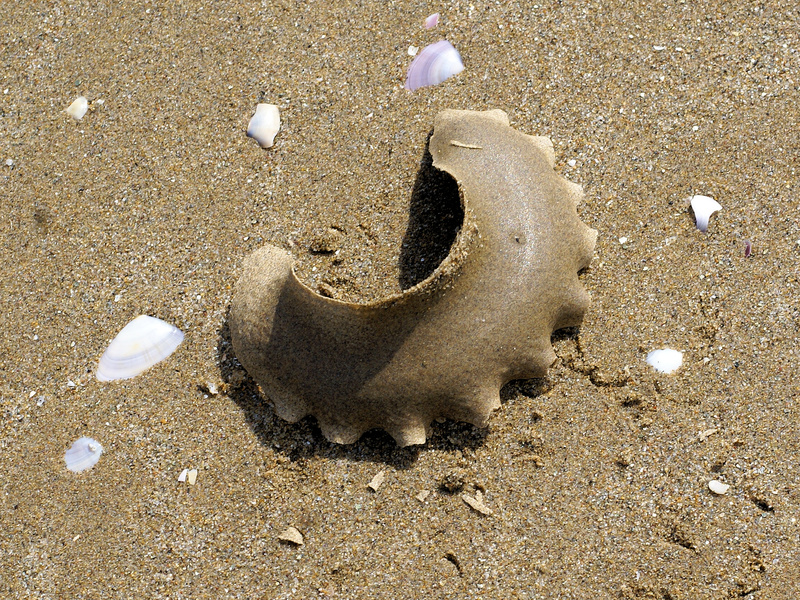 The egg "collar" or mucus excretion of eggs from a moon snail (Photo: Wiki Commons). Earthworms and other worms-are often covered in mucus that helps them move through the soil, and also helps with oxygen diffusion. They also release mucus cocoons with their eggs. Hagfish-these eel-like creatures can secrete up to 5 1/2 gallons of mucus as a means of defense from predators, making them very slippery! Corals-Corals of all types secrete a layer of mucus around each tiny animal that makes up the coral. 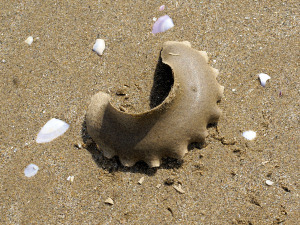 This mucus protects the animals from sediment and debris. When it becomes to "full" then the mucus is shed. African lung fish- This fish, with lungs and gills, aestivates (the reverse of hibernation, but during hot weather) in a slime cocoon. 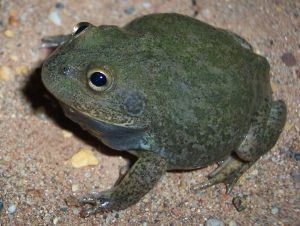 Australian water holding frog (Photo: Wiki Commons). Australian water-holding frog-burrows deep into mud, makes a slime cocoon filled with water, and then can aestivate (hiding out from hot weather and drought) for years! Velvet worms-secrete a sticky hardening mucus-slime that ensnares their prey. These are just a few examples of the many animals that use mucus, or slime, to help them move, protect their tissues, for digestion, cleaning, and for their immune system. Even if you don't appreciate all the mucus when you have a cold, your world wold be very dry without it, and you'd also be much sicker all the time. Mucus is a fact of life in the animal world. It is a unique adaptation to living on a water-based planet. Want to try your hand at making "fake" slime? There are some great recipes online, consisting of borax (soap) and glue. This one, from Michigan Technological University is focused on making polymers (the reaction that happens when you add borax to glue), or when you make slime with cornstarch. Regardless, it's great fun: https://wupcenter.mtu.edu/education/familysciencenight/lesson_plans/Polymer_Fun_Gr_5-6.pdf.